If you’re visiting my site, you’ve probably noticed that I’m a huge fan of studying history. 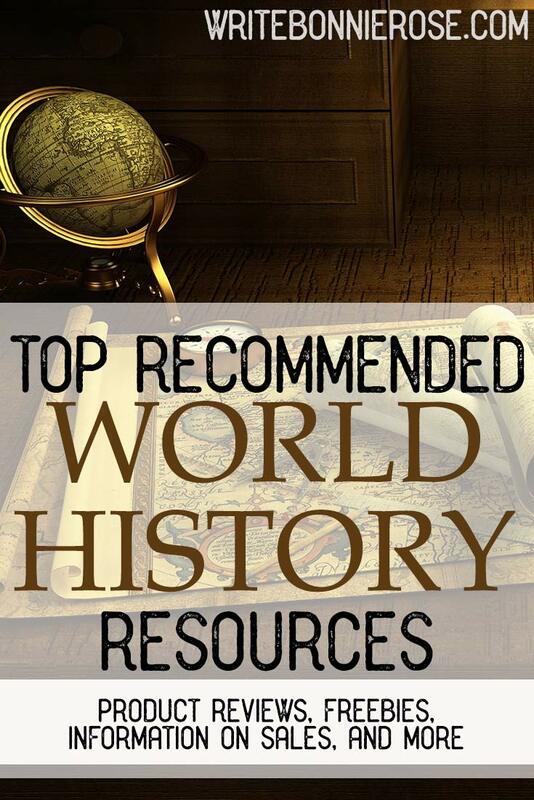 On this page, I’ve rounded up some of my favorite resources for studying world history. 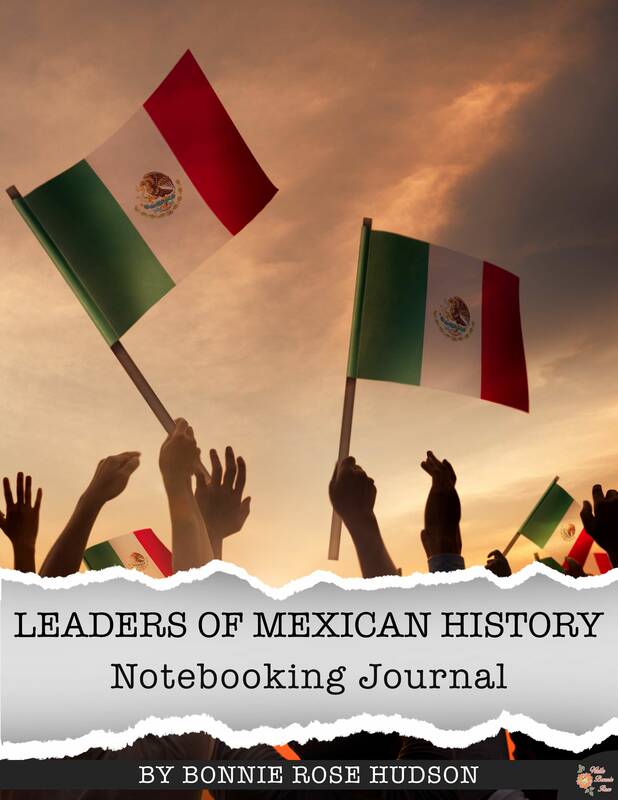 Don’t forget all the world history resources I have available FREE on my History Timeline, and be sure to check out my current subscriber freebies as well. I hope you enjoy some of these resources as much as I have! Write Through History: If you’re looking for a way to combine copywork and history, check out the Write Through History series by Brookdale House. These fun, Charlotte-Mason style resources span ancient to early modern history and incorporate reading, handwriting practice, and history in one, easy-to-use resource. Check out the complete Write Through History series! Drive Thru History: Ancient History: Drive Thru History is one of my favorite history resources! The episodes are short, fun, and full of historical information. I’ve watched them again and again, and I learn something new every time. This series takes a look at ancient history as well as some of the history of the early Church. It’s one of my favorite Drive Thru History series, and I hope you’ll check it out! 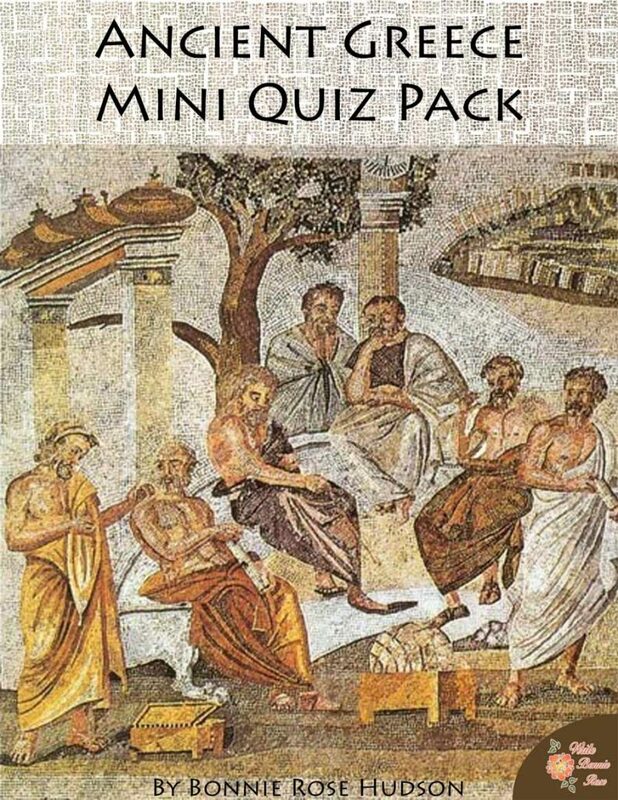 Ancient Greece Mini Quiz Pack: These 7 quizzes and puzzles test your student’s knowledge of the vocabulary and chronology of ancient Greece as well as general knowledge of people, places, and events. Come take a look! Truth Quest History: This is one of my favorite history resources of all time. 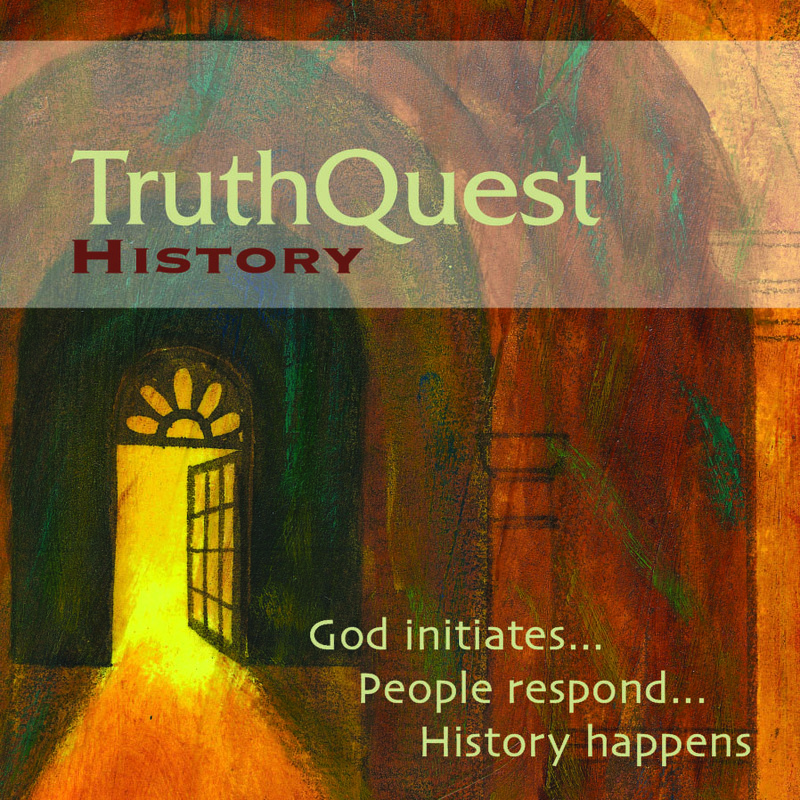 TruthQuest History goes beyond sharing history. Instead of sharing the story of mankind, it shares the story of God, a love story in which He is always at work to call and redeem humanity. This is a series of 11 titles that covers world and US history for elementary-high school. Read my review of each title and learn more about this incredible resource! 30 Events that Shaped the Church: “Some history deserves to be repeated. The examples of the brave, the determined, and the dedicated are worth emulating.” That is one of my favorite quotes from Alton Gansky’s book 30 Events that Shaped the Church. 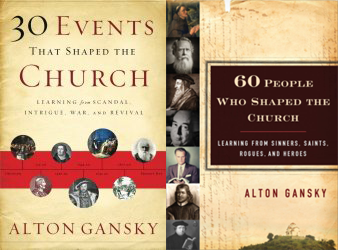 Writing a history of the Church in an interesting, engaging, and non-denominational way is no simple task, but it is one that author Alton Gansky did with exceptional skill. I wanted to sit down with this book. I was drawn in by its stories and amazed at the pieces of history I had heard little or nothing about. I had more than one “light bulb” moment when pieces of the past clicked together into a broader picture. I so enjoyed reading this book that I picked up its companion book, 60 People Who Shaped the Church. I encourage you to explore these books with your high schooler and dig into the history of the Church. Experiencing History: Creation to the Reformation: This fun, engaging course looks at history from the creation of the world through the Reformation, shared using a young-earth timeline for reference. Each lesson includes an audio lecture to listen to and a printable lesson to read. The author, Rev. Tim Price, has an engaging style, full of both wit and wisdom, making it a class middle school students love. 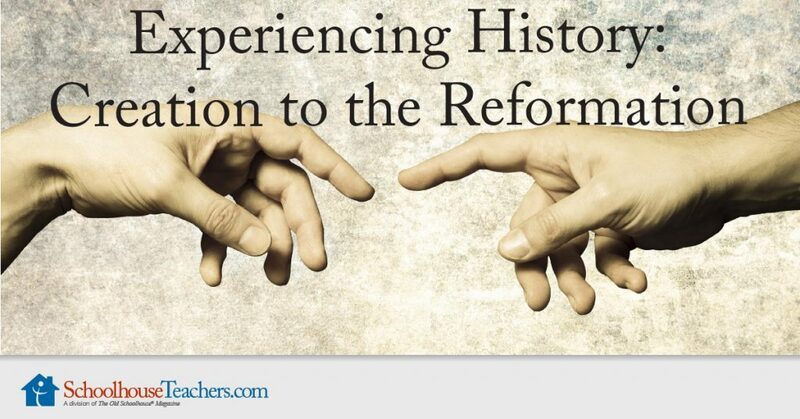 Check out Experiencing History: Creation to the Reformation today! 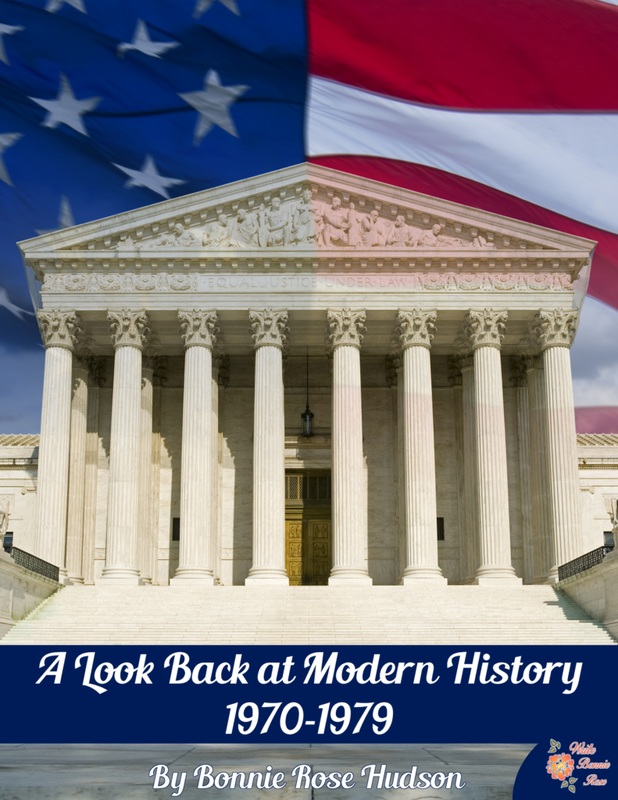 A Look Back at Modern History: 1970-1979: This modern history resource explores nearly 150 events that happened between 1970 and 1979. From the launch of Apollo 13 to the fall of South Vietnam and gas rationing in California, students will be challenged to learn when each event happened and, at times, why it happened. A set of 12 quizzes ask students to put events in order chronologically. Whether you use it for a review after students have studied a period, a tool to help students develop research skills, or a starting point for independent study of a fascinating decade, students will have the chance to discover modern history in a whole new way. 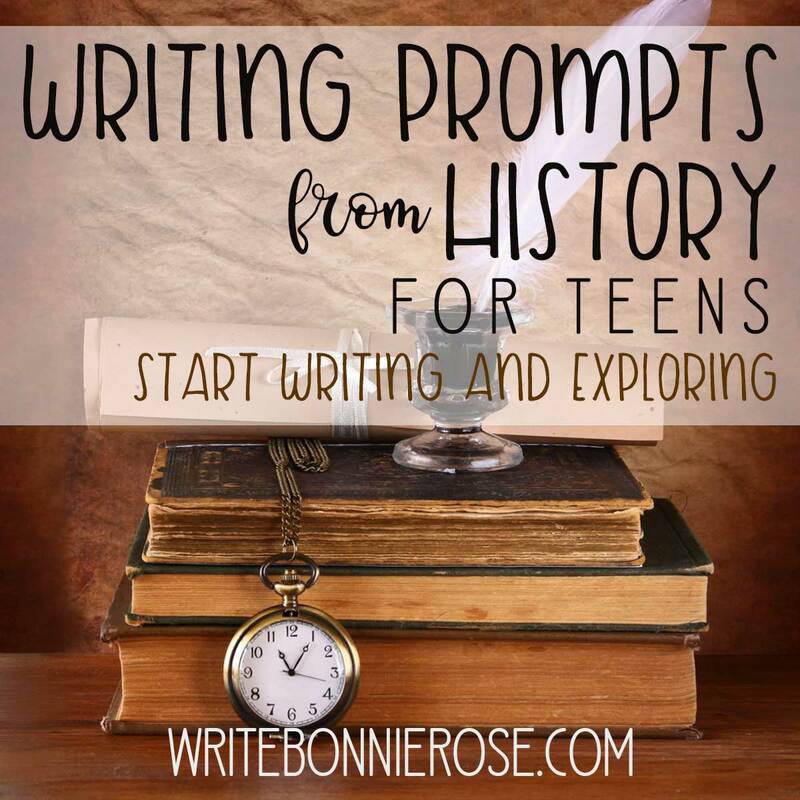 FREE: Writing Prompts from History for Teens: Take your writing – and knowledge of history – a step further with these writing prompts from history. These 100 writing prompts from history touch all seven continents, beginning in the 500s and continuing through the modern day. Students will witness the signing of treaties, the accomplishments made in a variety of sports, the debut of inventions, and much more. 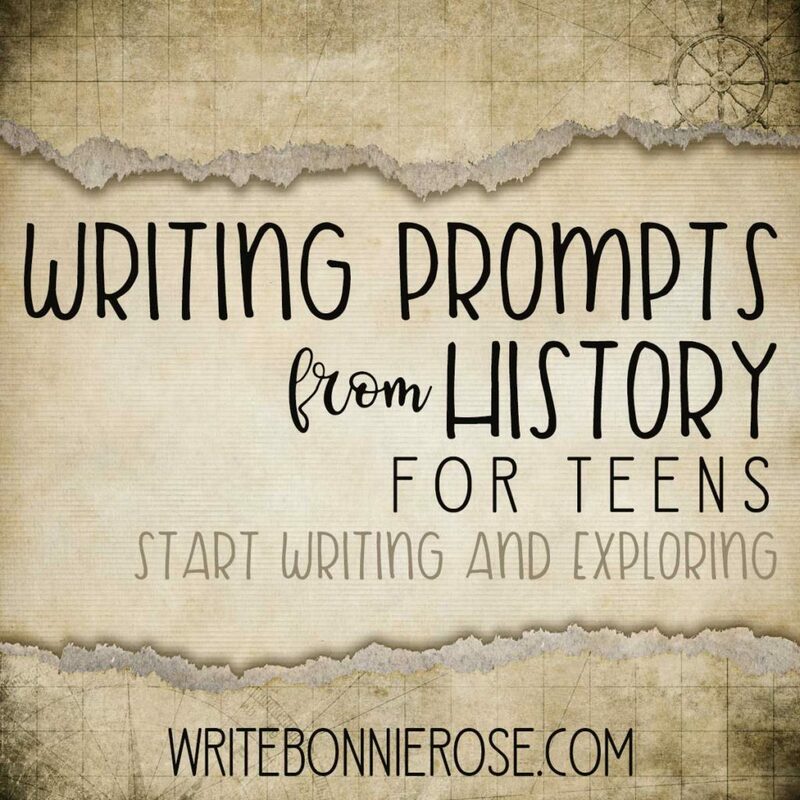 Grab Writing Prompts from History for Teens today! HIS Story of the 20th Century: This is an engaging look at modern history for advanced middle school as well as high school students. When done along with the workbook (which is sold separately), it can be used for a full high school credit. What I enjoyed about this history curriculum by Meredith Curtis and Powerline Productions is the abundance of often-forgotten or overlooked moments in time and the short fictional stories interspersed throughout the text. I don’t know about you, but when I studied modern history in school, it pretty much wrapped up with World War II and then skimmed through everything from Korea and beyond (despite the fact that more than 50 years had passed between the end of World War II and when I was in high school). 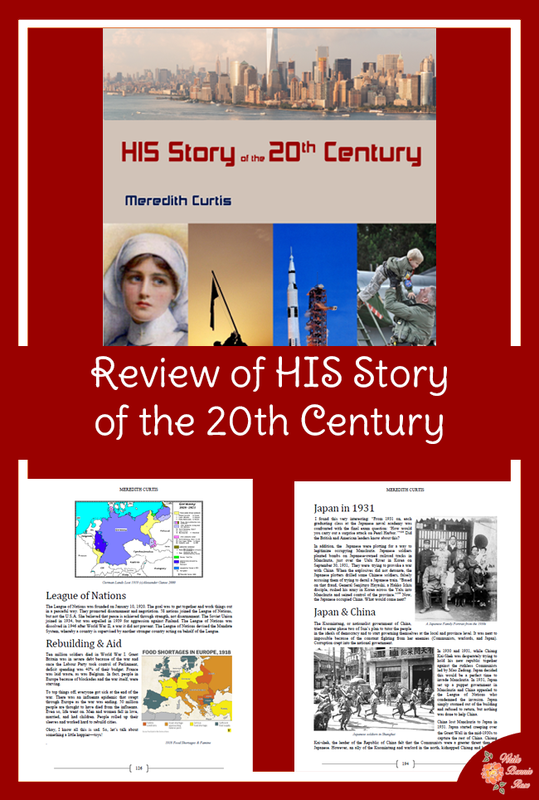 Read my full review of HIS Story of the 20th Century. Ancient History for Elementary: Lead your children on a journey through ancient history and explore the cultures of India, the Native Americans, Mesopotamia, Sumer, the lands of the Bible, Egypt, Greece, Rome, and China with this engaging course from SchoolhouseTeachers.com. It includes thirty-six age-appropriate lessons with a wide range of activities and projects. 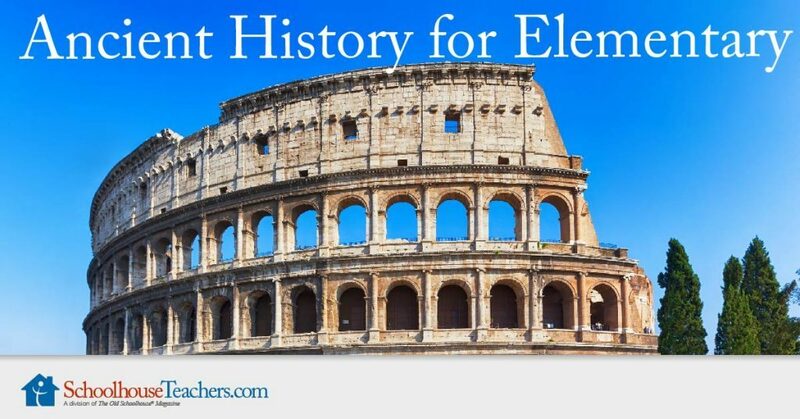 Check out Ancient History for Elementary today! 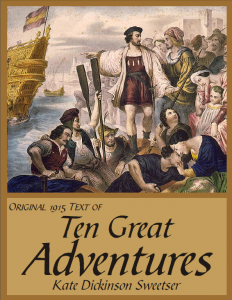 Ten Great Adventures: Each chapter in this book reads like an exciting work of fiction, yet is based on fact. Circumnavigate the globe with Sir Francis Drake, spread the gospel in Africa with David Livingstone, survive the wilds of Jamestown with Captain John Smith, discover the New World with Christopher Columbus, penetrate the wilderness with Daniel Boone, explore the Arctic with Sir John Franklin, capture Mexico with Hernán Cortes, fight the British with John Paul Jones, search for gold with Hernando De Soto, and secure Italy’s freedom with Giuseppe Garibaldi. This exciting book about these adventurous men tells their stories with all the drama of a great story. Numerous illustrations help bring the stories to life. Embark on your own adventure with this fun book! 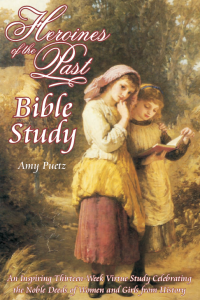 Heroines of the Past Bible Study: This book is an inspiring thirteen-week virtue study celebrating the noble deeds of women and girls from history. 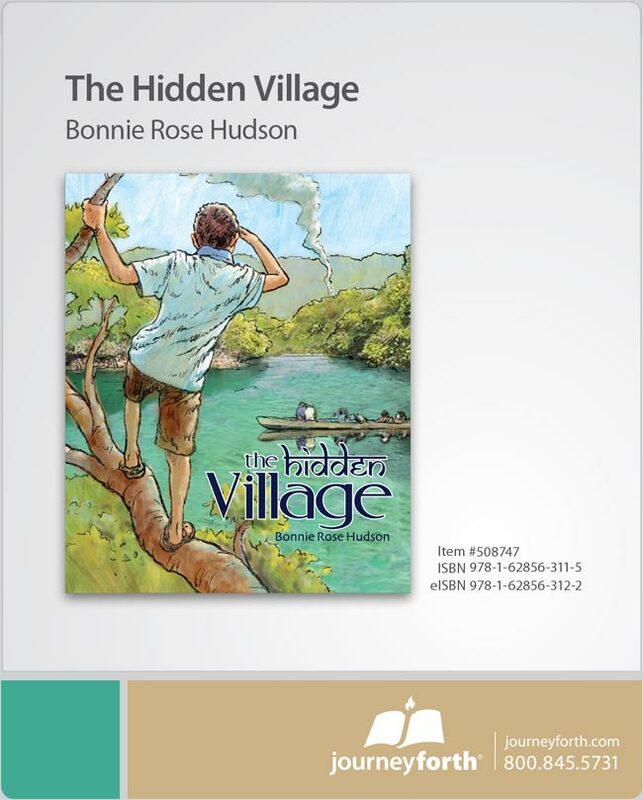 This book is both a Bible study and a collection of stories about historical women and girls. Each chapter has a story about a righteous lady from the past, and then a study that digs into God’s Word concerning the virtues demonstrated in the story. In this book, girls ages eight and up will meet servant-minded women like Mary Slessor, who worked for Christ as a missionary in Africa; kindhearted women like Florence Nightingale, who served the sick; and truth-seeking women like Katherine von Bora Luther, who boldly left a convent to follow Christ. Take a closer look at Heroines of the Past Bible Study today! Timeline Cards: One of the things I love about timelines is they put the events of the Bible into a broader historical context. I love discovering that the time of the Judges was also the time of Nefertiti or that the life of Joseph almost overlapped the birth of the Shang Dynasty of China. And that is what the Timeline Cards from Sprouting Tadpoles will help you and your family discover. 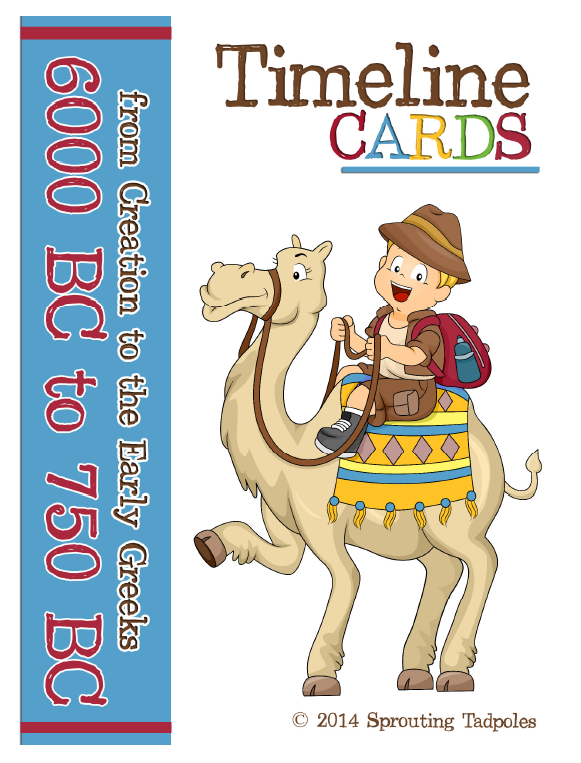 Read my full review of Timeline Cards from Sprouting Tadpoles. 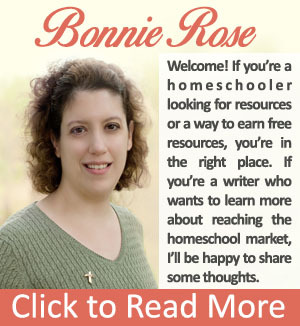 Plus more than 100 world history resources in my WriteBonnieRose store!